The Italian commercial yard, supplier for the oil and gas industry, turns its attention to the superyacht sector. 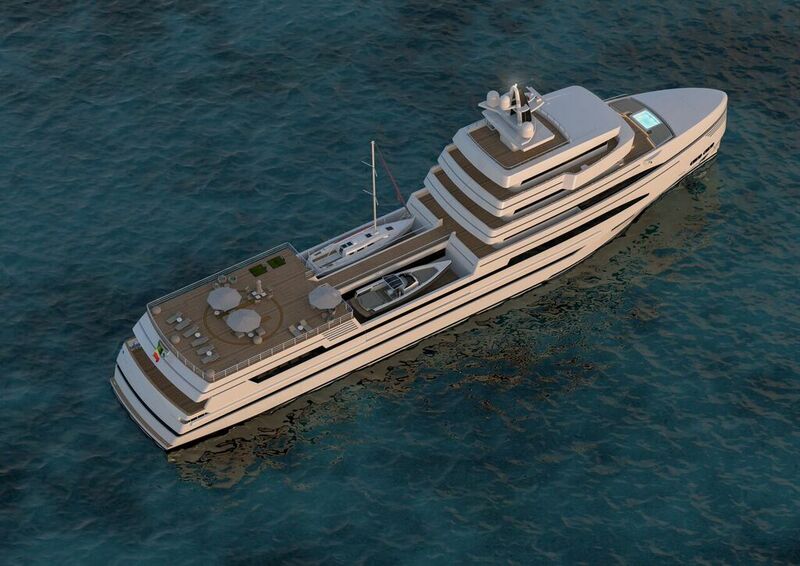 The 85-meter expedition supply vessel concept designed by Tommaso Spadolini will be the first in a diverse range of concepts from 48 to 85m. Rosetti's 85m flagship measures 2.200 GT, is equipped with MTU main engines and Rolls Royce propulsion systems. 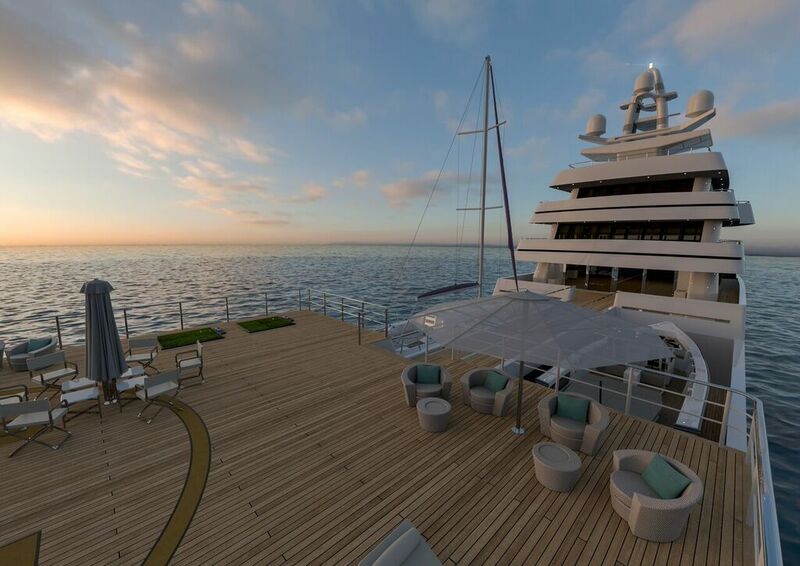 It will be offered to customers in two alternative deck arrangements, with central or aft helicopter landing pad. The helipad in the version on display is placed above a dedicated owner's area aft and connected with the superstructure by a central gangway. The deck space in between the two areas is designed for hosting large tenders and water toys.